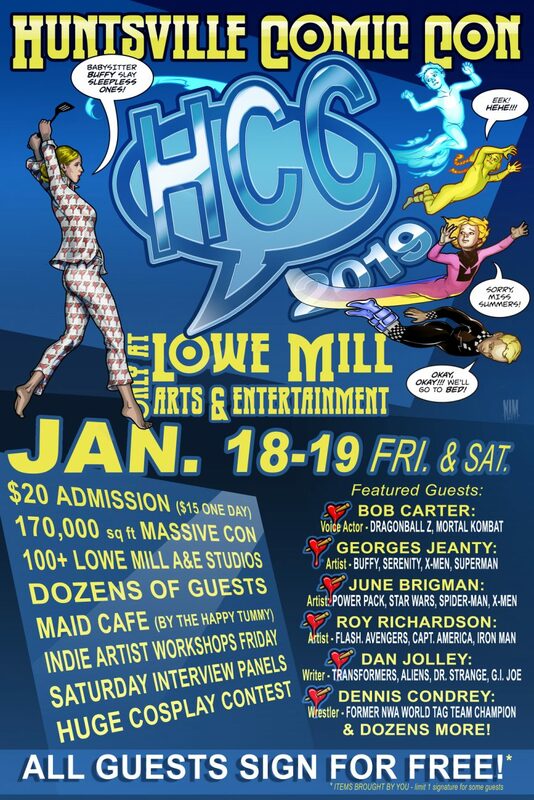 Poster for the Huntsville Comic Con 2019 at Lowe Mill A&E! 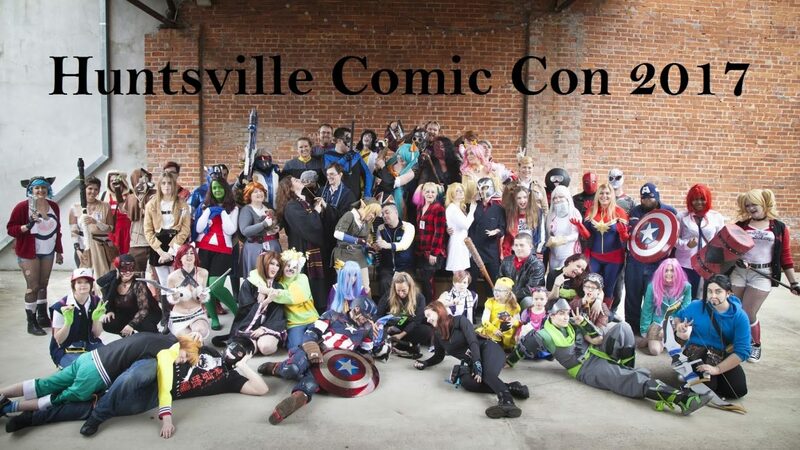 The Third Annual Comic Book Convention at the historic Lowe Mill A&E! Join us at Lowe Mill A&E for the Southeast’s most unique geek convention. We have dozens of great guests, including film and tv actors, comic book artists, writers, and many more! We will have amazing events and a Cosplay Contest at the end of Saturday! Everything will take place throughout the 171,000+ sq. ft. Lowe Mill A&E historic cotton mill facility. During our con you can find exciting new comics, gaming, and pop culture merchandise throughout the Mill. Plus you’ll get to visit the many working artists studios consisting of 200+ artists, makers, and unique eateries. You will need time to see everything, we strongly recommend attending both days. Huntsville Comic Con Photos - See Whatcha Missed? Courtesy of the gaming experts at Rocket City Arcade, HCC is proud to announce a room of classic 80s and 90s video games set to FREE PLAY for all badge holders! You can find them in the giant room next to Huntsville STEAM Works (Studio #1039) on the first floor…. Huntsville STEAM Works Hosts Workshops Friday! Copyright © 2019 Huntsville Comic Convention 2019. All Rights Reserved.